The tone around here has been a bit serious lately, so let’s lighten things up with a bit of Australian music. Australia does have a thriving music industry and a rich music industry history: we have even been known to try to steal New Zealand musicians from time to time. My focus is to share the music, not provide a history lesson: links are provided if more detail is desired! 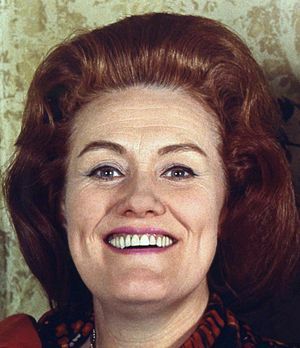 Last year we lost one of our greatest opera singers, Dame Joan Sutherland. Dame Joan was acclaimed globally as a wonderful soprano and passed in Switzerland at the age of 83. Another greatly acclaimed singer was Dame Nellie Melba. She studied in Paris and later became the leading lyric soprano at Covent Garden. During World War I Dame Nellie raised large amounts of money for war charities. Slim Dusty (1927 – 2003) , probably our most famous (before Keith Urban) country & western singer. Here he is singing the equally famous (or infamous, depending on your perspective) Waltzing Matilda. The Seekers formed in 1962 and the following video is from their farewell concert in 1968. They did reform in 1993. This song was one of my favourites when I was younger. Australia’s pioneer rock and roller was Johnny O’Keefe. I think this video speaks for itself as far as his popularity with the young ladies of the time goes! Crowded House is a hybrid New Zealand-Australian band. They had American members as well, I just discovered! The New Zealand brothers Finn, Neil and Tim, founded the band in Melbourne in 1985. They reached number 12 on the US Album Chart in 1987. No article looking at Australian music would be complete without mention of INXS. Michael Hutchinson was a gifted musician who tragically lost his life in mystifying circumstances. INXS still performs, however I have used a clip here with a montage of Michael. I have realised that talking about Australian music just needs more than one article! I haven’t even mentioned indigenous music yet either. This could become a series all by itself! I hope our overseas readers enjoy some music they may not have heard previously. More to come! Check out the Menu for other A – Z of Australia articles and links to other A – Z challenges happening around the world. ← Independent Women “Syndrome”? Further attacks on women! Dame Joan was a damn nuisance. How dare she cancel the first performance of her life at Sydney Opera House to do Lucia of all roles, when I had got a free ticket? Laryngitis? I’d travelled half way around the world (well not just for that) and she backed out. I have written about it. Somewhere. On one of my multiple blogs. I also endlessly post Redgum….. I am so sorry she inconvenienced you! 😆 Glad you stopped by and said hello! I loved your selection, it brought back many wonderful memories; the Seekers used to be one of my favourites! And of course, we all love Slim Dusty and what he did for Australia in the music world. Thank you Robyn, great post – and I think you just may have to follow it up with more, because we have only skimmed the surface here! As I was putting it together I realized I could not possibly fit enough artists into one article. I am not even writing much about each one! We have such a rich musical history. Good to hear! So glad you liked the selection!